Catch-up as a lot has happened! DnA Motorsports is on the Moved! At least 4 races you might want to hear about. The last post we published was end of April! You guess we did not have a break… let’s say we were too busy preparing our races! 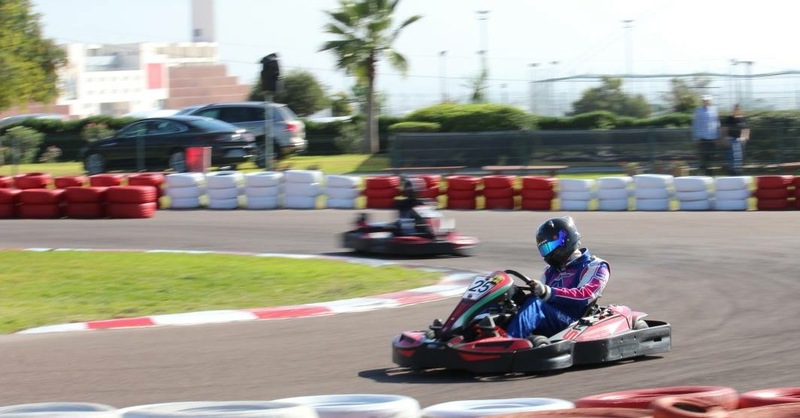 Exceptional experience driving under the colours of KMRS Fun! Fred Kousen as Team Manager did a great job getting us to the 12th position (out of 65 karts). Behind the wheels, the drivers have taken shift to ensure the kart making the longest distance in 24hours – Alice Noel, Tom Kousen, and our striking DnA Trio made up with Jean-Frédéric, Dimitri and Arnaud! If you remember last year DnA Motorsports was part of this charity race to raise money for Viva for Life. This year we did race it again, and secure the 1st place. Super atmosphere at Eupen Karting with about 17 teams driving the 9cv fleet. Dimitri and Arnaud made a good job – starting in pole and increasing the gap lap after lap. Thanks a lot Marc for your involvement and see you soon! Same track a week later for a 3 hours endurance race – Jean-Frédéric and Dimitri finished on the second position. Great job! The team managers did a great jobs during the 24 hours making sure performance was there as well as the fun part! Thanks Flavio and Fabrice! Arnaud (AMS), Stéphane (AMS), Fred (AMS) and Arnaud (DnA) finished on the 3rd position for ProAM category. Great job guys!